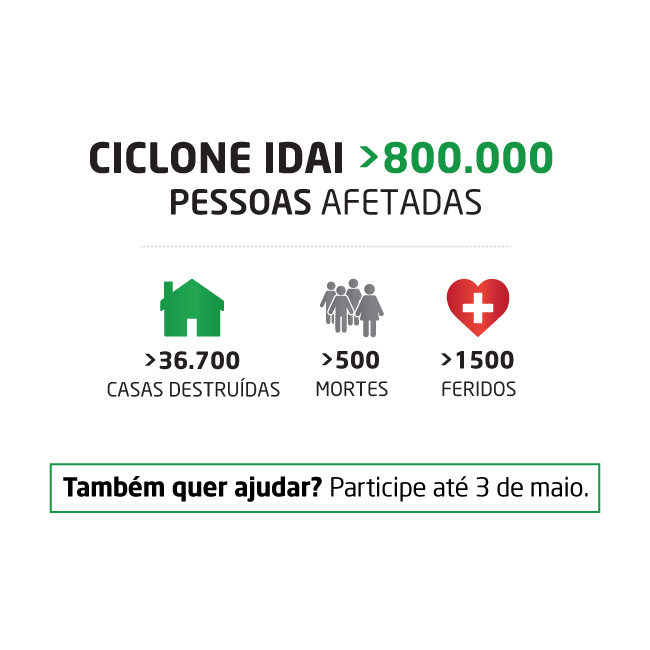 On the night of March 14th, Mozambique was struck badly by the cyclone Idaí. 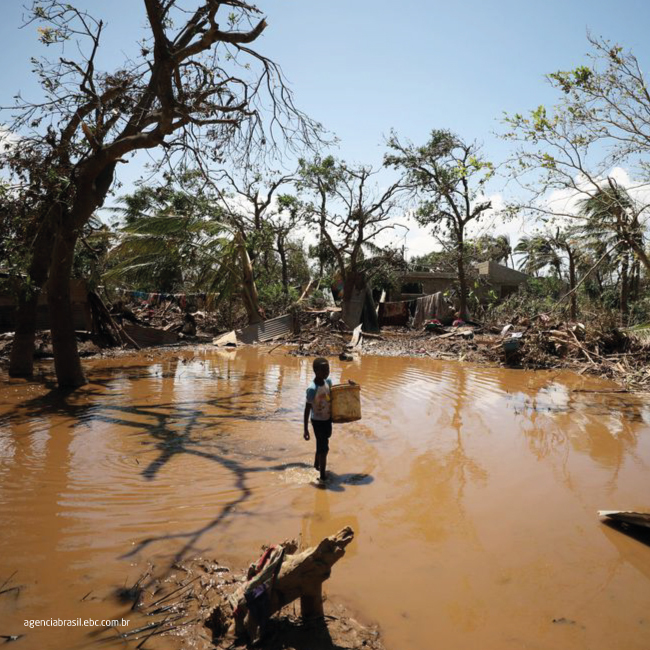 This was the strongest cyclone ever felt in that country, leaving behind more than 800 thousand affected people, about 37 thousand houses destroyed, more than 500 deaths, more than 1500 injured and a big exposure to diseases such as cholera. F.Fonseca and Fisiomanual, in partnership with Cruz Vermelha Portuguesa, are promoting a campaign to help the victims in Mozambique, in this time of great need. Portugal, as a brother country of Mozambique, has sent a team of 40 military men to help in recognition missions, rescues, support in the distribution of goods and aid the Portuguese Council. So, our time has come and we count on you to help us! At this moment, the most necessary goods are medicines, non-perishable food products, water treatment products, personal hygiene products and cleaning products. You can deliver these good at the headquarters of F.Fonseca and Fisiomanual. A week has passed since the disaster and there are people who haven’t been rescued yet, people who lost everything and need all our support right now. We know that this initiative will not reach all the victims, but each little action is a victory. Furthermore, we believe that our example will encourage more entities to promote these kind of actions!